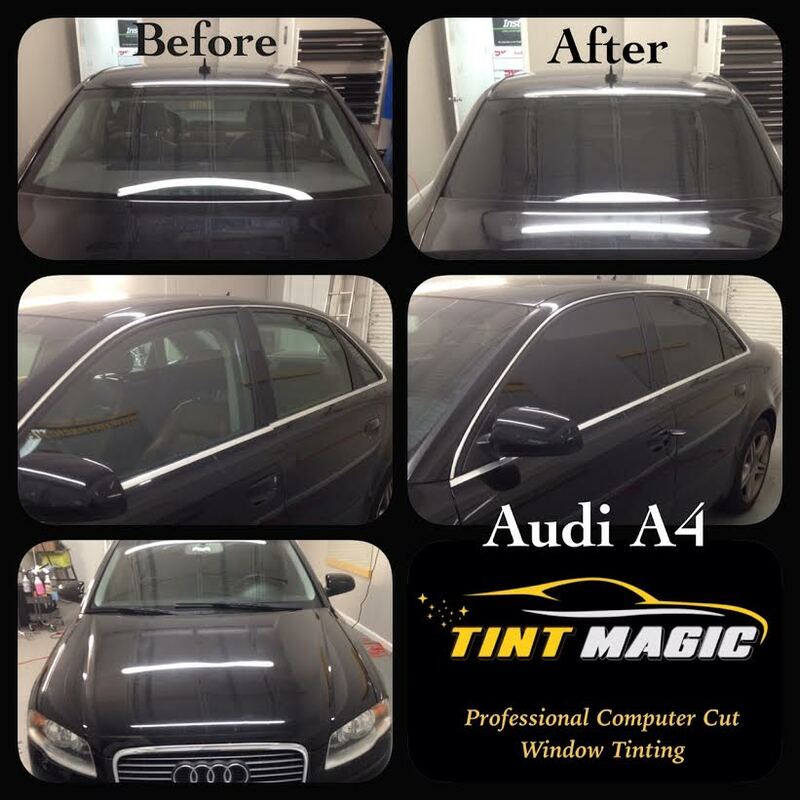 Audi A4 Window Tinting at Tint Magic Window Tinting Coral Springs . Call us for a free estimate! 954-840-7883. We are located at 11344 Wiles Road Coral Springs Fl 33076. When Audi set out to design the new 2017 A4, focus went to technology, efficiency, and looks. The new A4 is as much as 265 pounds lighter than the outgoing model thanks to a mix of body materials and lightweight construction. Although the new model is lighter, it is slightly larger and has a lineup of efficient engines with reduced CO2 emissions. Along with the mechanical improvements, the automaker has updated its infotainment system and driver assistant technologies, giving customers an added sense of luxury.In Europe, the 2017 Audi A4 will launch with seven engines, including three TFSI gas and four TDI diesel variants (European-spec A4 sedans and Avant wagons are shown here). To compete with the U.S.-spec BMW 328d, Americans might even get an A4 with a turbodiesel-four. Although the 2017 A4 will offer more power , a new combustion method on gas engines has helped fuel consumption decrease by as much as 21 percent. In the U.S., the outgoing 2016 Audi A4 in 2.0T form is good for 24/31 mpg city/highway with front-wheel drive and 21/30 mpg with all-wheel drive and an eight-speed automatic. Audi has also upgraded its seven-speed automatic (and it’s now available with front-wheel drive), as well as its eight-speed auto and six-speed manual. Automatic transmissions now feature a freewheeling function where wheel-selective torque control lessens the workload of the front-wheel drive and Quattro drive. The S tronic will now be offered for front-wheel-drive models, and the new TDI will feature the optional sport differential on the rear axle starting next year.